Trying to spot the cheapest, most effective and user-friendly shopping cart, e-merchants research every option that market offers. But, due the large variety of available platforms, it isn’t easy to choose the most suitable one, especially, if you don’t have a rich e-Commerce experience. However, as it was stated in a famous joke - such task can be resolved through a thorough thought, though. One of the solutions current shop owners use is a hosted platform named ePages. It provides a comprehensive set of features and is fairly flexible for a hosted solution. Nonetheless, the shopping cart isn’t free, and because of its structure peculiarities, only ePages Technical support can fix the major development issues. Costless. The platform comes in two versions. Based on your personal preferences you can choose an open source or a hosted PrestaShop cart, and neither of them will cost you a cent to install. Easy to use. A market newcomer, PrestaShop Cloud has already caused a market splash. Not only is this platform free, it is also extremely straightforward and takes a few seconds to install. As for the open source version, it is more oriented on technically experienced users, as all the other platforms of such kind. However, even if you’re a newbie, PrestaShop’s stylish and not heavily overloaded interface will make your learning process fast and easy. Advanced. As we’ve mentioned earlier, PrestaShop platform belongs to the current shopping cart elite. It provides a staggering range of built in features, along with vast marketplace, crowded with useful add ons to skyrocket efficiency even higher. International. Among other qualities, PrestaShop’s famous for its broad localization settings, countless translations and language packs. So, if you plan to bring your store to an international success - this cart is just for you. These has been the list of most captivating PrestaShop qualities. However we’ve only covered four advantages and this number doesn’t even touch the overall functionality greatness, that this platform provides. 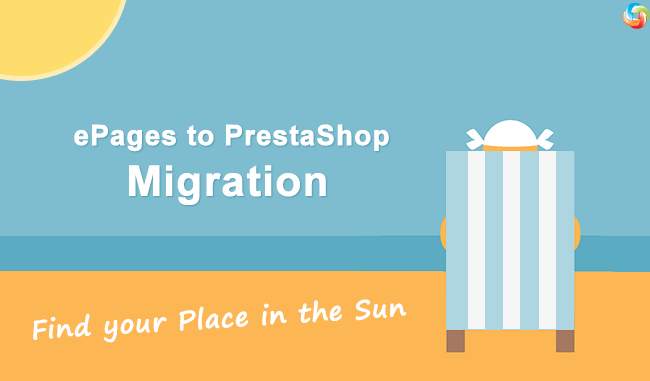 Thus, if you’re an ePages user who wants to drastically improve an online store by migrating from ePages to PrestaShop - here an instruction on how to do it step-by-step. Now, that you know all that’s necessary - don’t waist any more time. Register a new Cart2Cart account right now, perform a prompt transfer from ePages to PrestaShop, and come one step closer to fulfilling your e-Commerce dreams.